BVB have enjoyed a strong turnaround in form this term and lead the Bundesliga by six points from reigning champions Bayern Munich and have progressed to the knockout stages of the Champions League. Playing a key role in their progress has been captain Reus with 14 goals and nine assists made in his 24 appearances for Dortmund. And Favre, who previously coached Reus at Borussia Monchengladbach, isn’t surprised by the German forward’s progress. “I know Marco well from Gladbach, and I must say that he has always been sensational,” Favre told Bild. 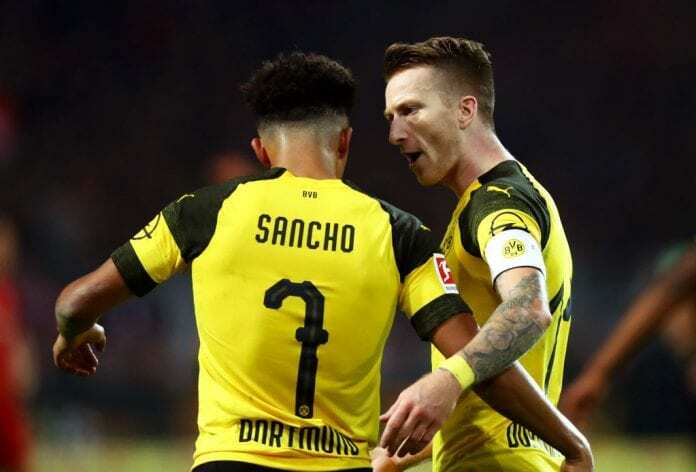 18-year-old Sancho has been the breakthrough star for Dortmund this season with an impressive tally of seven goals and 10 assists in 24 games to his name. The teenager debuted for the England national team in October last year and he’s now established himself as one of Europe’s most exciting youngsters. “He’s already incredibly good,” Favre said on Sancho. Dortmund will return to action away to RB Leipzig in the Bundesliga this Saturday.